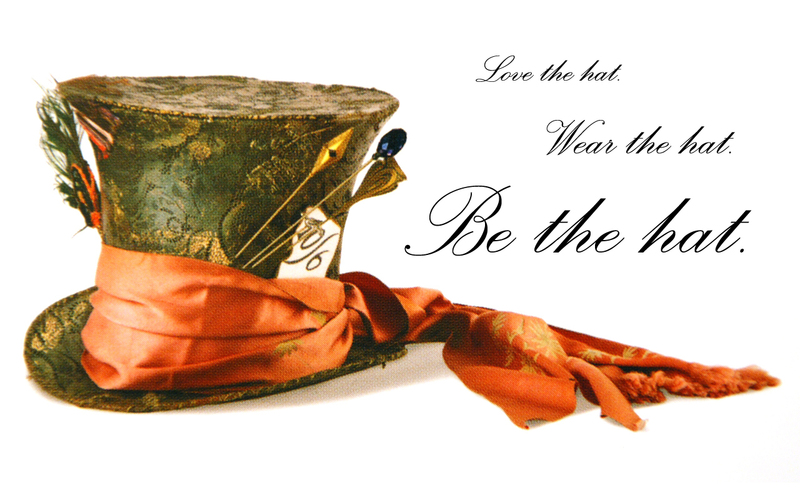 Mad Hatter 壁纸 - The Hat. . HD Wallpaper and background images in the 爱丽丝梦游仙境（2010） club tagged: alice in wonderland tim burton johnny depp alice movie wallpaper. I WANT BOTH!!!! and throw in the mouse too!!!!!! hhhhhhooooooommmmm be the hat. idiot i AM the hat! foo man choo!! !